The scroll of the prophet Isaiah was handed to Jesus. He opened the scroll, and found the place where it was written, "The Spirit of the Lord is on me, because he has anointed me to proclaim good news to the poor. He has sent me to release the captives, restore sight to the blind, deliver those who are crushed, and to proclaim the acceptable year of the Lord." He closed the scroll, gave it back to the attendant, and sat down. The eyes of all in the synagogue were fastened on him. Luke 4:17-20 NHEB. Jesus introduced himself and the fact that he had arrived in full power and glory. Great things were about to be spoken and done in Israel. All miracles from God happen for a reason. They have purpose. They're not simply reactionary works of the supernatural powers that God possesses. They are targeted with the Big Picture of God's plan of redemption in mind. There are many reasons for each and every miracle that God performs. God's miracles do not happen in a vacuum. The Lord is deeply seated into all aspects of creation, and beyond creation; therefore, his multifaceted signs, works, wonders, and miracles all have many purposes that lie within his providential control. We're called to know and understand the miracles of Jesus, increasing our faith in God because of them. These Bible lessons on miracles will enlighten you to the principles, purposes, and great powers of God Almighty. You will trust in God like never before after a thorough study of his miracles. Please share a miracle that you've been part of on our Christian Miracle Reports page. Before tackling the miracles of Jesus, we'll start in the Bible's Old Testament with explanations of selected miracles. Click on the link to join the lesson of your choice. Each lesson digs deeply into the situation and facts that surrounded the miracles of God. We'll discover why the miracles were performed and the effects of the miracles. Each Bible study lesson has a miracle Bible verse, discussion questions, deep teaching on miracles, and a personal application section for your faith hungry heart. Miracle quotes and miracle prayers are also part of each complete Bible lesson on miracles. Do you believe in miracles? I hope so, because all of these miracles of Jesus Christ have many witnesses. Really, if you think about it, isn't it easy to believe in miracles if the Lord already created the universe by his word? For instance, he created man and woman, so, isn't it natural to believe he can heal them of any disease? 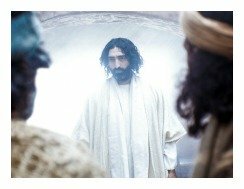 Jesus' Miracles, Lesson #6.05 (Introduction to the purposes of Christ's miracles). 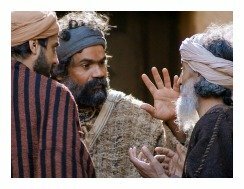 Jesus' Healing, Lesson #6.10 (Healing physical handicaps and injuries). Jesus Healing the Sick, Lesson #6.11 (Healing diseases). Don't miss our NEW Spiritual Healing Prayer page. Apostles of Jesus, Lesson #6.16 (Miracles from the early Christian church). Personal Miracle Prayer, (Do you need a prayer for an urgent need? Join us). The bottom of each miracle Bible study includes a list of the miracles of Jesus pdf. The greatest miracle, in my opinion, is God entering our hearts and burning the sin out of us by the power of the Holy Ghost. God changes lives! Let the world know if he has changed your life.... TESTIFY! Have A Great Miracle Story? Do you have a great miracle story that glorifies God? Testify! Click here to easily complete your testimony.